Binance Chain testnet is strictly for testing purposes. Normal users can play with it to try any features, crypto facility providers, such as wallets creators, can test integration with Binance Chain, and traders can test their trading strategies. But all tokens on testnet are testing tokens, which have no monetary or benefits associated with them. Binance Chain testnet funds do not equate to Binance Chain mainnet funds or Binance.com account funds.. Please do not send any real mainnet tokens (BTC, ETH, BNB etc.) to Binance testnet. Your tokens will be lost and will be unrecoverable. If you would like some test tokens, please go to the test fund faucet. It is free, you just need a Binance.com account and 1BNB in the account at the time of applying (you can spend the 1 BNB after getting the test fund), and you can get fund for multiple addresses with one account. If you share it with others, they will take your funds and you will lose control of your funds completely. No one, even Binance Chain validators or Binance can help return your funds. So please do not share your private key with anyone, even someone claiming to be Binance customer support, or CZ himself. As described above, when you lose your mnemonic phrase and private key, you are at risk of losing access to your funds. Even Binance Chain validators or Binance cannot help recover your private key or mnemonic phrase. It is a must that you record your mnemonic phrase safely and make sure you (and only you) can find it when you need it. A mnemonic phrase can help you recover your private key and are frequently used in many hardware wallets to generate the seed for more private keys. It is the best way to recover your private key, so please write them down and keep in a safe place. If you want to know more, Binance Chain mnemonic phrase are following the BIP39 protocol and use BIP32/BIP44 to generate a private key from it. If you keep using the mnemonic phrase and private key, you have a much higher chance to lose them due to phishing websites or applications. Private keys and mnemonic phrases should be only used to recover your keystore file or hardware wallets or mobile wallets. It is highly encouraged to always use Trust Wallet (coming very soon), hardware wallets or your keystore file to unlock your wallets. 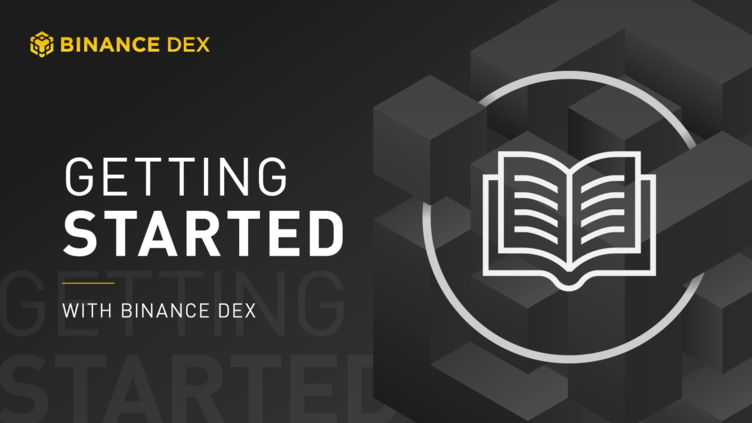 When you use SDK or trading bots on DEX, you may have to input your private key into the libraries or the software, by that time, you may expose the private key to a leak or risk falling victim to phishing. Please ensure the SDK and Trading Bots libraries/software are 100% trustful. It is highly encouraged you use a Signing Service (coming soon). Binance DEX uses a different matching logic from Binance.com. The biggest difference for normal users would be on trading large, aggressive orders. If you send them in one go, the match engine would consider there is a big buy or sell surplus and conclude a much worse trading price for you. So please send small pieces if you want to buy or sell a large amount. For example of EOS.B/BNB pair, if the best buy order is 100 EOS.B at price 0.39, the 2nd best is 100 EOS.B at 0.34, and the 3rd best is 100 EOS.B at 0.20, sending a sell order of 300 EOS.B while no other sellers would not give you a price of 0.39 or 0.31 (the average price you may get if traded on Binance.com against the same order book), but very likely 0.20. Here the case for a less liquid market, it is better to send 3 orders each with 100 EOS.B. As described above, tokens on Binance Chain testnet are purely for testing purpose. The tokens and the testnet funds in your addresses may be subjected to reset during testnet upgrades. Please be careful about scams or phishing that promise any benefits or gain on tokens on Binance Chain testnet. The tokens on testnet have no monetary value.